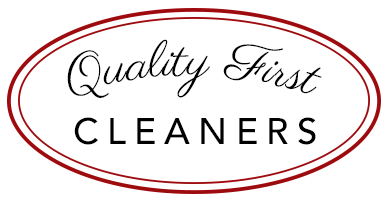 Quality First Cleaners provides only the highest quality services, guaranteed satisfaction, and superior customer services. You have come to expect the ultimate service from Quality First Cleaners. We give environmentally safe wet cleaning and dry cleaning service. Your garments are finished to keep them looking like new. We pride ourselves on making our customers happy with their dry cleaning experience, and they keep coming back because they know we truly care about protection your valuable clothing. Point of quality inspections and replacement of buttons. Our Laundry service keeps your shirts clean, crisp and bright. We hand finish all collars and cuffs. We replace broken or missing buttons at no extra charge. The type of dry cleaning we use at our location is dry to dry machine, in which clothes are put in dry and come out dry, ready to finish. The actual cleaning process for dry cleaning is similar to washing process. Clothes are separated by weight, finish and color. The clothes are then cleaned in dry clean machine that look like large over-sized front load washing machine. The difference is that the premium quality solvent is used over and over again, continually being re-cycled through filtration and distillation. Finally, after the clothes are removed from the machine, they are checked for any additional spot cleaning necessary, steam finished, and then ready to return to customers. The frequently asked question of where the garments are processed, yes, all the garments are processed at the location plant. Many articles of clothing, “dry-clean only” and we urge you not to ignore these instructions. Our number one goal is help you look your best. Not only do we have an expert staff, but also the longevity of your garments can be increased with the use of our solvent instead of what you would be using at home to wash your clothes, water.